Wicker and Rattan Furniture | Wicker Cushions Both Indoor & Outdoor Wicker Imports. 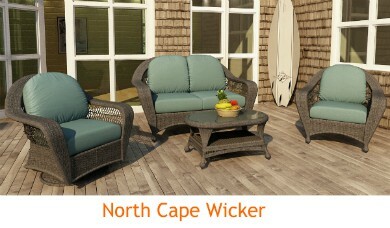 Great prices on outdoor wicker furniture, rattan furniture and polywood furniture. We make replacement cushions for Lloyd Flanders, North Cape and more. Store Hours - Monday through Friday 10:00 AM to 5:00 PM, Saturday 10:00 AM to 4:00 PM ET. Shown below are our most popular categories. We stock several of the collections displayed, but cannot carry all of the items presented. If you plan to visit our store to view the a specific item, please call to see if we stock that product. Thank you for visiting Wicker Imports Online. We are family owned and operated store located in Lancaster, PA. 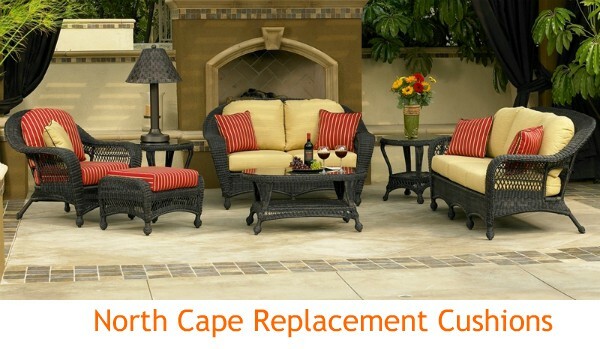 Established in 1975, we carry a large selection of today's most popular casual furniture from leading manufacturers. Browse through our online catalog or stop in our store to see our outstanding collection. If you have any questions about our products or services feel free to call, we are here to help. Delivery is available throughout the Continental United States. We also offer White Glove Delivery on our store truck. If you can't decide what fabric to choose, we will be glad to send out up to 6 samples out free of charge, click here to order samples. We manufacture our own replacement cushions right here in Lancaster to offer you a great selection of fabrics and THE most comfortable cushions available anywhere. 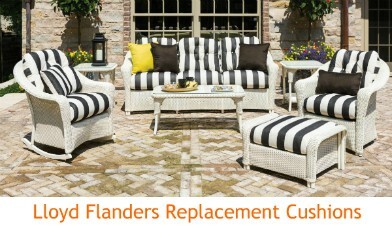 We specialize in cushions from leading manufacturers including Lloyd Flanders, North Cape Int'l, and Chasco Designs. The most popular cushions are shown below. Most cushions are made to order and are not available to be picked up immediately in our store. Stop by our Lancaster store to view the following lines we do not sell online. 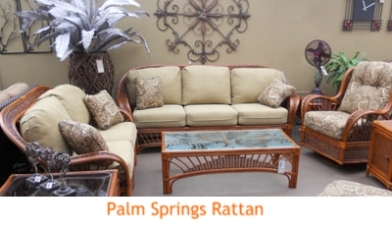 We carry Braxton Culler furniture featuring one of the largest selections of wicker and rattan furniture in the United States. Braxton Culler offers an outstanding collection of best selling styles available in hundreds of fabrics. Wicker Imports also carries Treasure Garden umbrellas, the industry's leading manufacturer of shade products and furniture covers. Click the images below for links to their websites.